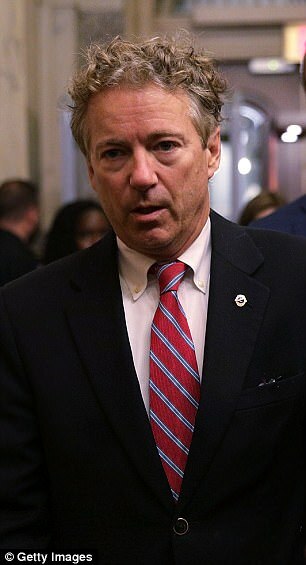 The 'socialist' doctor charged with cracking Senator Rand Paul's ribs in a crunching blindside tackle may have harbored a secret grudge against his GOP neighbor for spoiling his lakeside views and 'devaluing' his home, DailyMail.com can reveal. Rene Boucher, 59, told Paul in the wake of the mauling that he hadn't been able to sell his $740,000 house for ten years because the congressman's trees were 'in the way'. 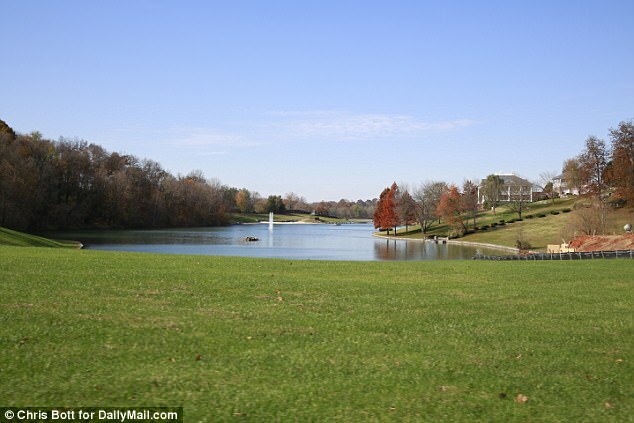 It's believed Boucher was referring to woodland at the back of Paul's property that blocks the doctor's views of the picturesque private lake that forms the centerpiece of their upscale gated community. 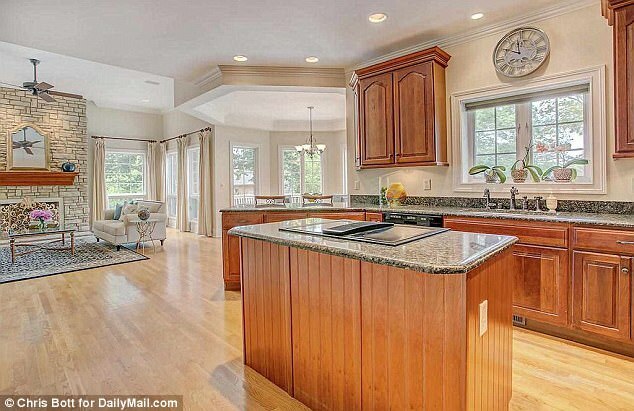 Friends say it could explain why the retired anesthesiologist has failed to find a buyer for his five-bedroom, 1.36-acre home which is nonetheless described on property websites as 'overlooking' the desirable water feature. Boucher's alleged grievance was relayed to the media by another of Paul's neighbors, Alicia Stivers, the first person who saw the bloodied and dazed lawmaker after the November 3 assault in Bowling Green, Kentucky. 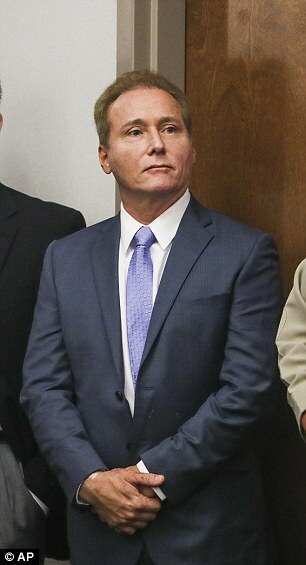 Stivers, 54, confirmed that account to DailyMail.com this week but said she was unable to elaborate because the incident is now subject to state and potentially federal charges. Property records confirm, however, that Democrat-voting Boucher has indeed put his house on the market five times over the past decade without success, at one point becoming embroiled in a messy lawsuit when a prospective buyer pulled the plug at the last minute. 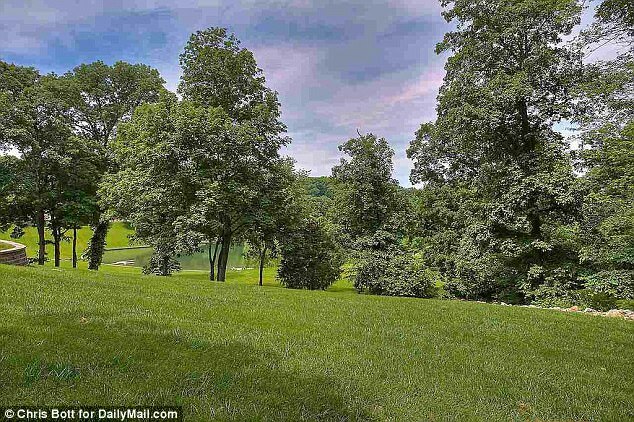 A look at boundary maps and overhead photographs also shows many of the 'offending' trees are on Paul's land - although one realtor pal told DailyMail.com the Boucher property probably didn't sell simply because it was overpriced. The new clue lends credence to suggestions that Boucher's unruly behavior owes more to a simmering territorial grievance than a political feud, despite the pair's apparent ideological differences. It also contradicts previous reports that the dust up was down to something as trivial as 54-year-old dad-of-three Paul blowing lawn trimmings into his next-door neighbor's yard. Boucher, a divorced father-of-two, appeared somber during his court appearance Thursday where he was charged with fourth-degree misdemeanor assault, which carries a possible year-long sentence. Federal charges and the threat of a ten-year stretch could follow, however, if investigators feel there's evidence Paul was pummeled for political purposes. 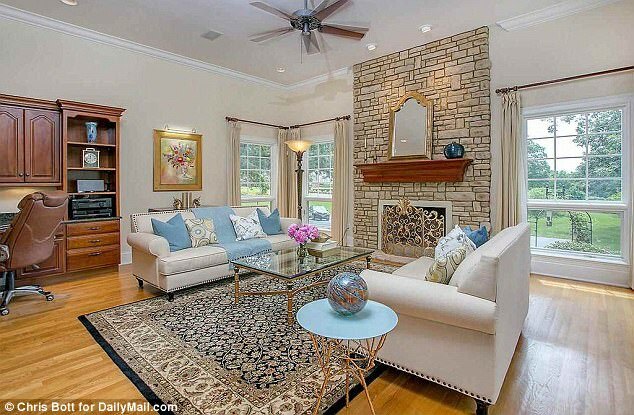 DailyMail.com can reveal the two men's lots meet on the corner of two private streets and their houses are about 250ft apart, separated by a lawn rather than a wall or fence. It was this 'no man's land' that Boucher allegedly charged across on November 4, catching Paul unawares as he stepped off his lawnmower before slamming him to the ground. 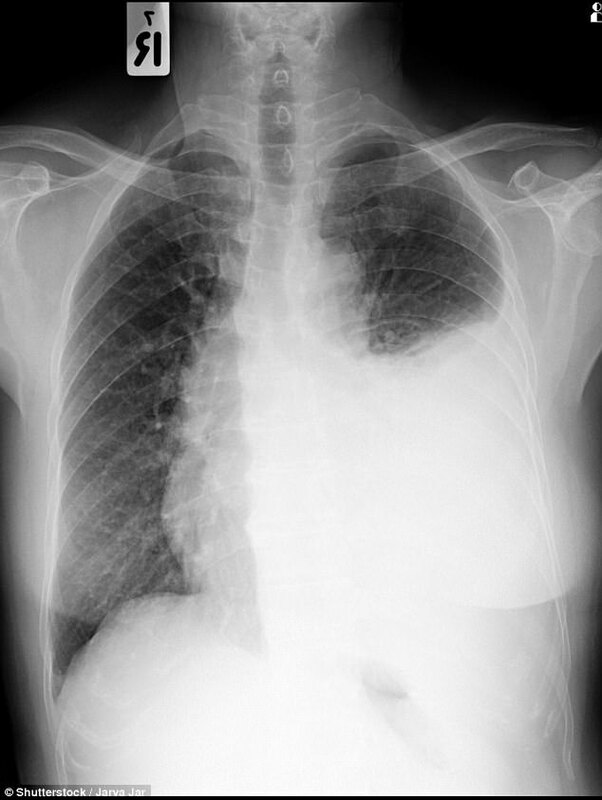 The seriousness of the assault became apparent days later when the Libertarian former presidential candidate revealed he suffered six broken ribs and a buildup of fluid around the lung known as a pleural effusion. Initial reports suggested the two men had fallen out because of various 'landscaping' issues such as Paul dumping leaves or discarded branches in Boucher's yard. 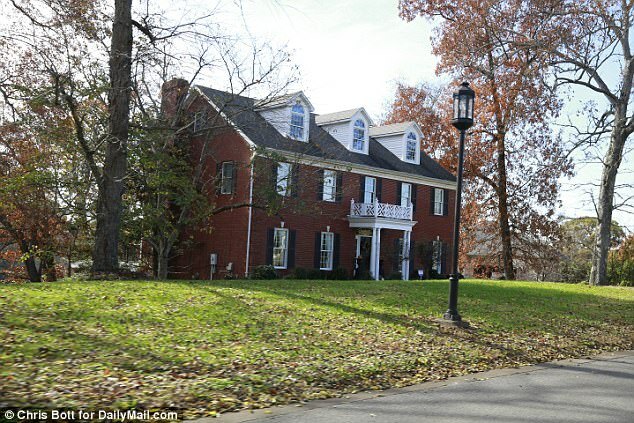 However when DailyMail.com visited the exclusive gated enclave where the pair had lived alongside one another without incident for 17 years, both properties appeared tidy and well maintained. 'I've known Rand and his wife Kelley for many years. They're great neighbors,' said car dealership boss Dan Renshaw, 70. 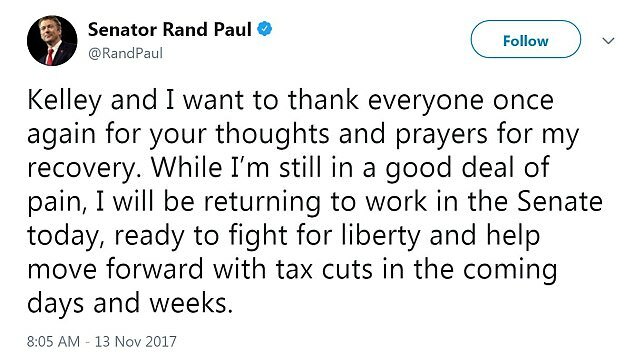 'Rand mowed his own yard. It was always presentable. That's a very lame excuse if that's the one they are choosing to use. 'If there was a genuine problem this gentleman could have brought it to the homeowners' association board and they would have evaluated the situation. 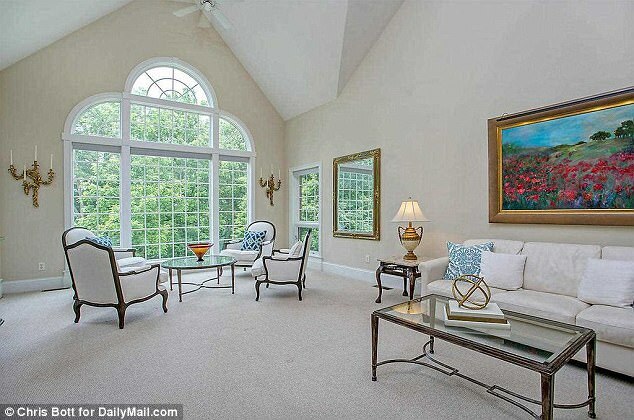 The well-to-do Rivergreen gated community was designed by Bill Skaggs, 74, a longtime Republican activist and successful property developer. 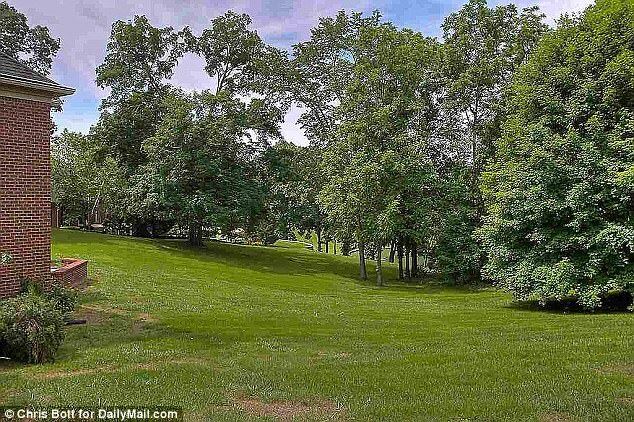 He purchased the 300-acre site south of Bowling Green for $176,000 in 1995 before carving it into 79 separate lots, with prices ranging from $40,000 to a quarter of a million dollars. Homebuilders were asked to comply with 13 pages of regulations, but he preferred to do without 'ugly fences' whenever possible, instead letting each property flow seamlessly into the picturesque surroundings. Today homes there can fetch up to as much as $2.5m, especially properties with direct views of the jewel in the development's crown: a 17-acre freshwater lake, as deep as 30ft in places. 'Some people chastise me for not building apartments on it and making more money but this was something I'd always wanted to do,' Skaggs told DailyMail.com. 'When you're developing property you are building a nice, pleasant place for people to live where everybody is just gonna get along and sing Kumbaya. Skaggs said he knew Paul through his father, former Texas Rep. Ron Paul, and eventually persuaded the married ophthalmologist to settle in Kentucky, where his wife Kelley grew up. He also welcomed Boucher, a highly qualified anesthesiologist, with open arms and said he had never been anything other than a 'very good neighbor'. 'We've had just a very, very homogeneous community here that seemed to get along,' he added. 'Some are Democrats and some are Republicans and I don't even know which are which. 'I am an outgoing Republican and Rand Paul is a Republican but I don't think that had anything to do with the incident. 'I know Rene wanted to sell the lot and be closer to one of his children but he just hadn't sold it yet. Boy, do I ever wish he had sold it two months ago. According to friends, Boucher, a pain specialist, is back on the dating scene, most recently seeing a Puerto Rican woman whom he met at church. The ex-physician got his medical degree from Des Moines University College of Osteopathic Medicine and once worked at the same Bowling Green medical facility as Paul, though it's not clear if they ever interacted. He is also the inventor of the Therm-a-Vest and went on QVC to advertise the $30 product in 2005 which he was inspired to develop after badly injuring his neck in a motorbike accident. Divorce records indicate that by 2008 Boucher was not able to work and was receiving disability benefits. He has not renewed his medical license since 2015 but a former colleague, David Ciochetty, a doctor with Bowling Green-based Interventional Pain Specialists, said he had not heard of any complaints made against him. Politically, Boucher was an socialist, according to his realtor friend Jim Bullington, 74, who served three terms on the city commission and was also one of Paul's eye patients. He said Boucher was a regular patron at Bowling Green's 440 Main restaurant where he would drink wine and espouse the virtues of ripping up the American healthcare system and replacing it with a publicly-funded service like those in Canada and Great Britain. Bullington also remembered Boucher voicing frustration that his house had gone unsold. Boucher has marketed the property as high as $849,500 but tax assessors say the 7,500 sq ft, two-story home is actually worth $740,000. 'Everyone says it's priced too high. He tried to sell it himself because he didn't want to pay any commission to a realtor,' explained Bullington. Court records show that Boucher came closest to selling his house in April 2012 before prospective buyers Steven and Amanda Johnson pulled out of the deal to buy the house for $807,000, citing problems with the AC and a retaining wall. He sued for breach of contract but the case was dismissed a year later. Boucher was released on $7,500 bond and is banned from going near Senator Paul or his family ahead of a pre-trial hearing on November 30. Despite fears of a long lay-off the congressman's adviser, Doug Stafford, said in a tweet today that his boss was well enough to return to work in the Senate. Regardless of the circumstances behind the bizarre falling out, it's unlikely he or his neighbors will ever welcome Boucher back with open arms. The disgraced physician was spotted returning home for fresh clothes this week but it's believed he is currently staying elsewhere to avoid further conflict. 'I just don't understand what makes a man break like that. There must have been some sort of latent friction,' Skaggs added. 'I just don't think a person goes walking up the road, sees his neighbor out on the lawnmower and goes racing across the hillside and blindsides him. If he did that then he was mentally ill.